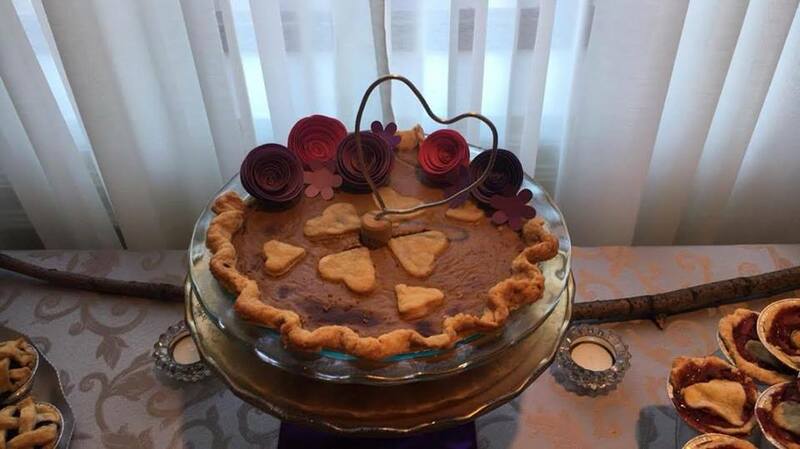 I started baking pies back in high school. My Food & Nutrition class would make epic quantities of pies and we suspect the teacher was selling them on the 'black pie market'! You could say we became something of pie experts. 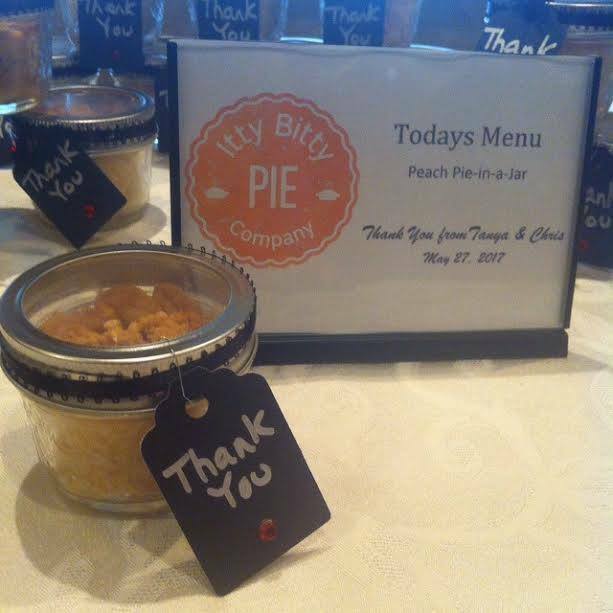 I continued to bake pies for family and close friends and it is through their encouragement that Itty Bitty Pie Company was born. I am a self taught, passionate foodie and I love to use my imagination in the kitchen to create experiences through the use of sauces, herbs, spices and a stove. 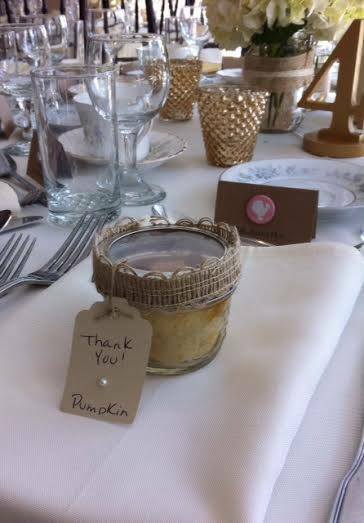 I hope you enjoy my creations and that my sweet and savoury pies enhance your event, your dinner or just a craving during the day! We strive on creating the freshest and most delicious pies in the Niagara Region! 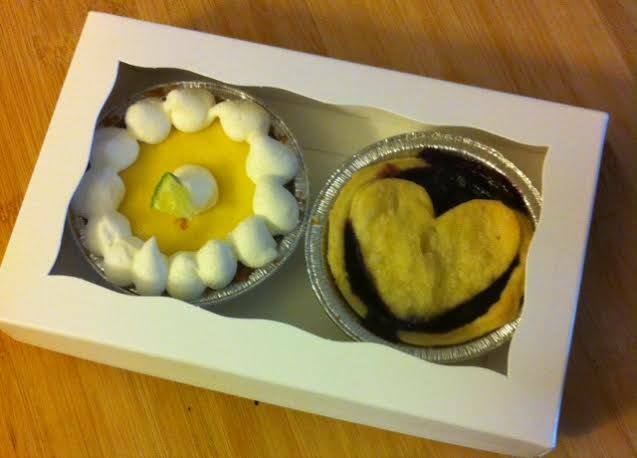 We have been producing quality sweet and savoury pies since 2011. All of our sweet and savoury fillings are cooked in small batches to ensure flavour and consistency. 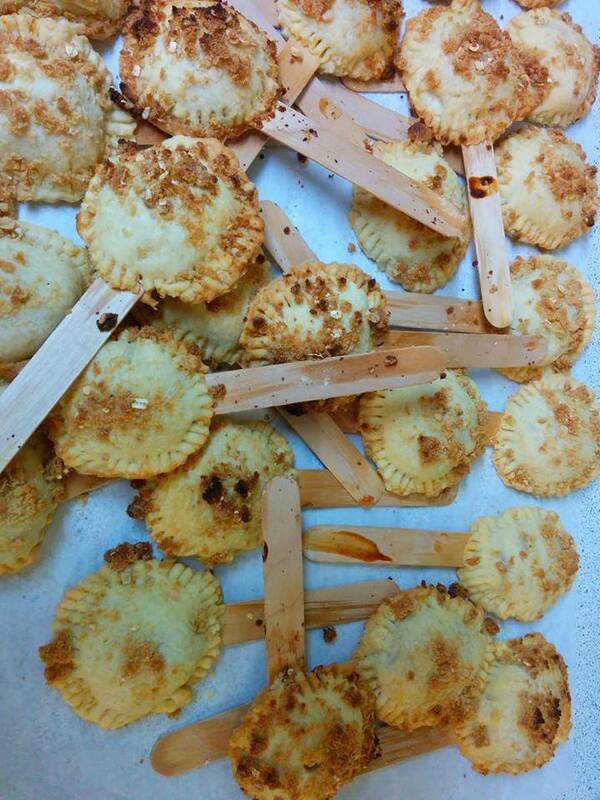 Each filling is nestled in our hand rolled vegetable shortening pastry and filled with quality ingredients. We produce all of our food with love and care, in our on site kitchen. 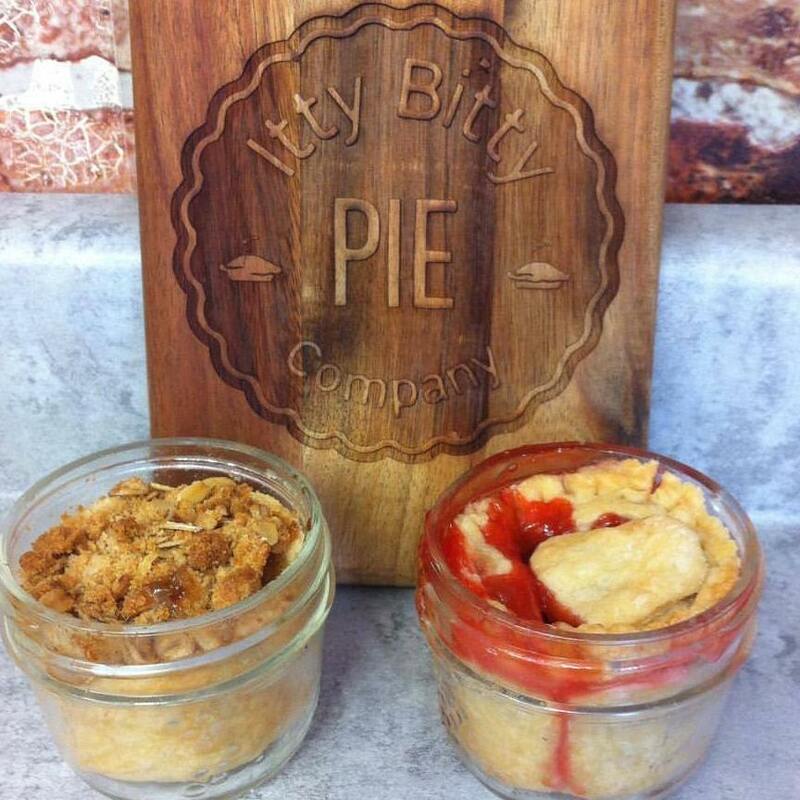 We are continually adding to our menu to help you rediscover pies in a whole new way! 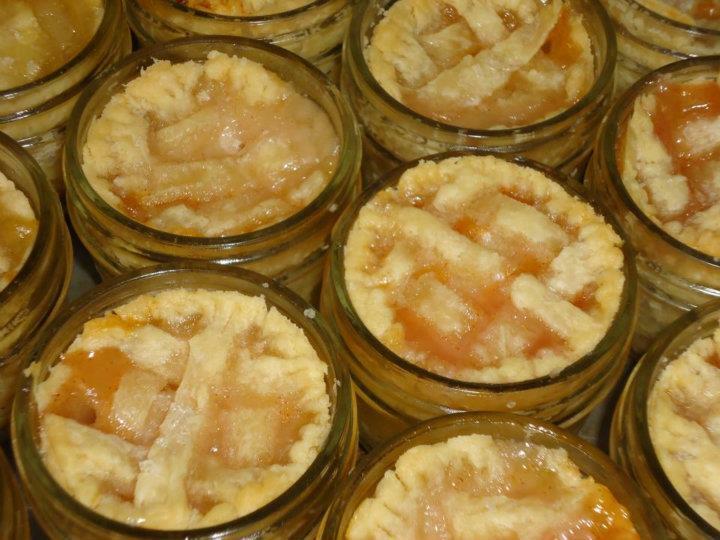 We make fresh, from scratch sweet pies each day. Our sweet pies contain everything real, from the fruit, milk and the real whipped cream that is heaped gloriously on top! We don't add excessive amounts of sugar so you can experience the full flavours of the pie. 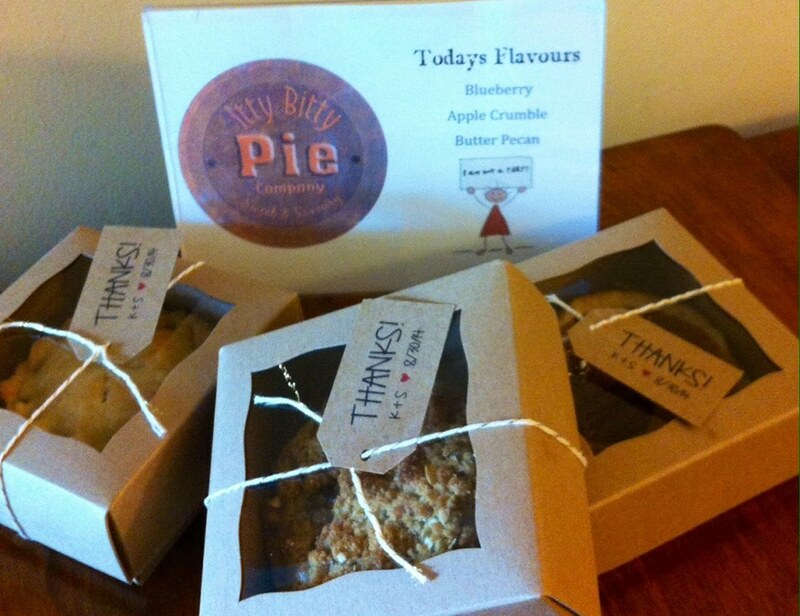 We have many flavours of 9" unbaked, frozen pies in the shop. Our savoury pie flavours all start with a sauteed base of onions and garlic. Chunks of meat and/or vegetables are added to our homemade broth, and each filling is given a healthy dose of herbs and spices unique to each pies flavour. The filling is left to simmer and thicken, to blend all the flavours to the max. The fillings are enveloped inside of our hand rolled dough and flash frozen. We believe, to get you the best product, is for you to bake the savoury pies at home. 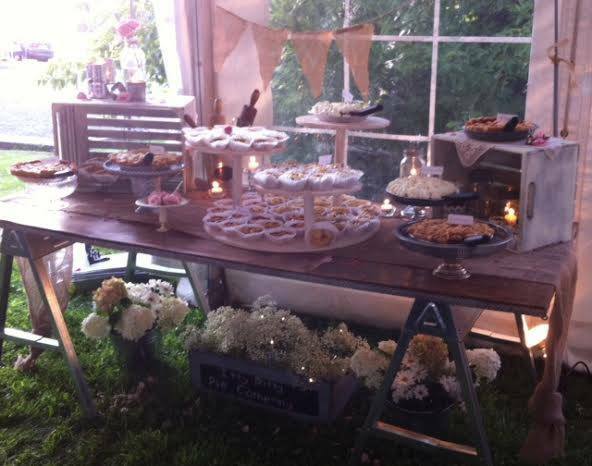 We love weddings at Itty Bitty Pie! We get excited about creating the vision that couples have for their special day. 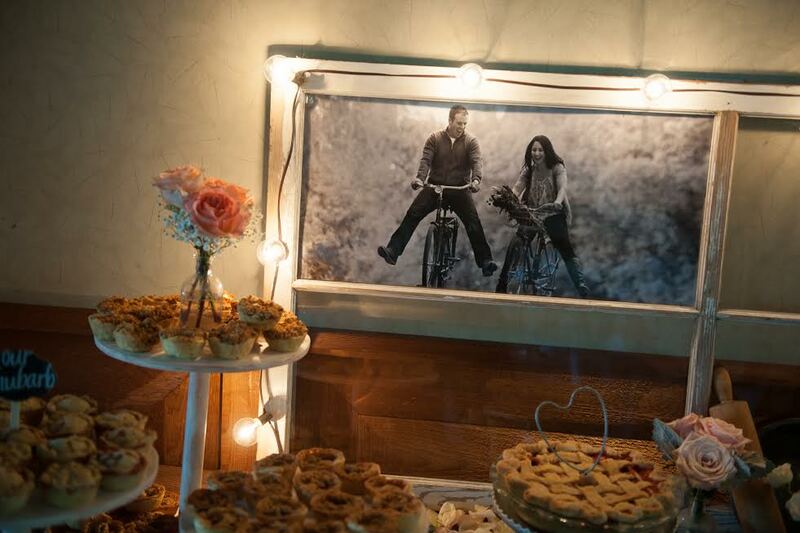 We will work with you to come up with exactly what you want, whether it is our food truck at your venue, our favors (Pie-on-Stick, Pie-in-a-Jar, or Pie-in-a-Box) or table full of different sizes and flavours of pies. 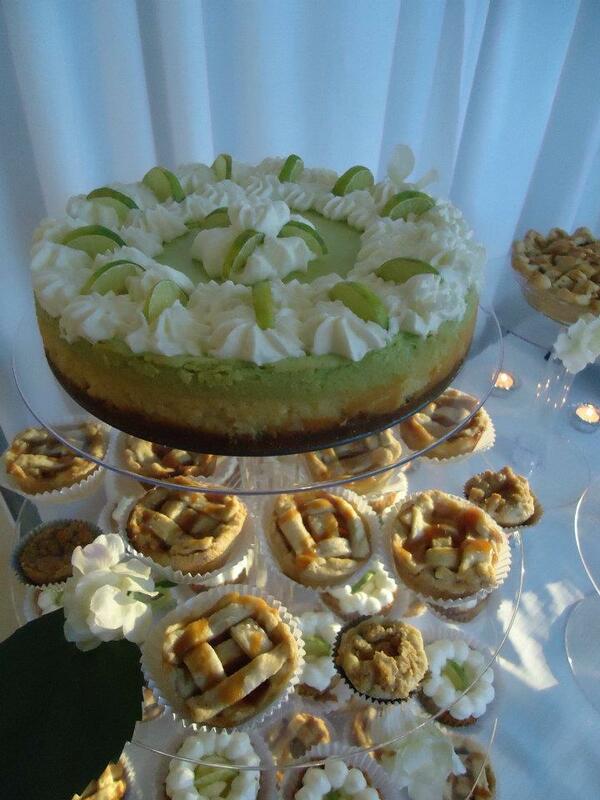 Let us make your wedding pie-tastic! 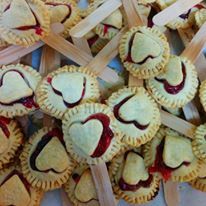 We can be found at Grimsby Farmers Market each Thursday (3pm - 7pm) from May until Oct. We love to serve our delicious pies at weddings, corporate events, birthdays, anniversaries or wherever a food truck and delicious food is wanted! 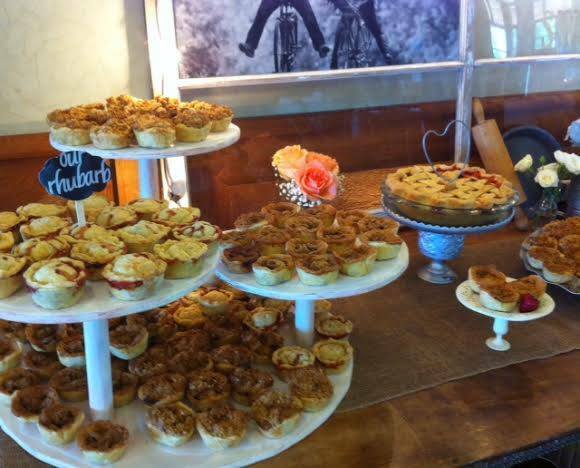 Our Pie-in-a-Cup served from our food truck, is a delicious & fun way to celebrate at any event! This decadent dessert is layered from the bottom with your choice of fruit crumble. a scoop of vanilla ice cream and topped with our homemade warm Salted Caramel Sauce or warm Chocolate sauce. 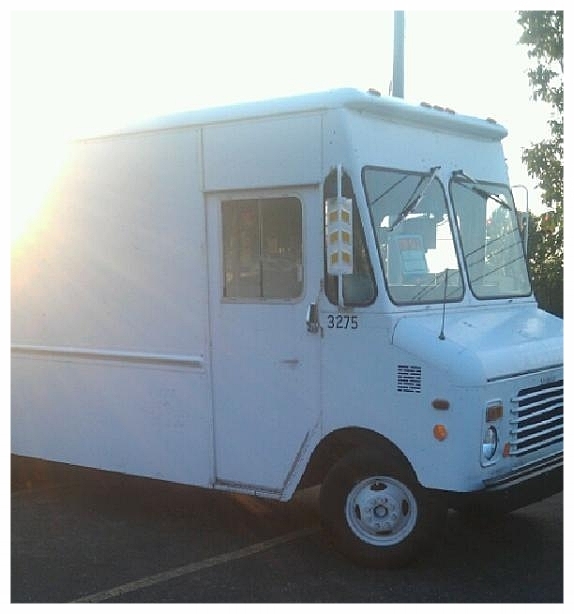 Want our food truck at your event? Thank you! We will do our very best to respond within 24 hours.